﻿ Grass field with Agriculture Experiment Station in background on the University of Florida campus. Grass field with Agriculture Experiment Station in background on the University of Florida campus. 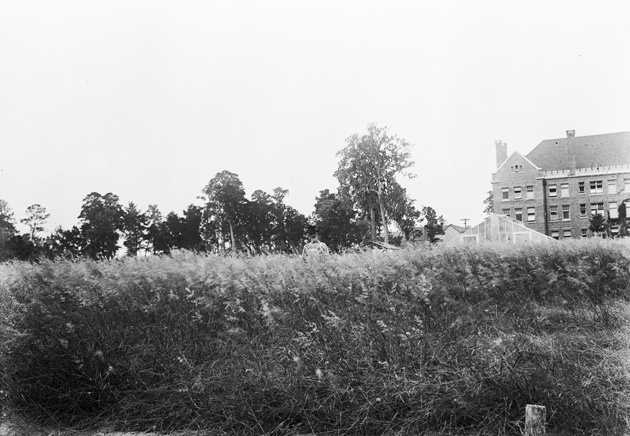 Grass field with the Agriculture Experiment Station in background on the University of Florida campus. Nov. 16, 1914. Photograph 7103 from the University Archives Photograph Collection.